Welcome to MachShots.com, we are glad you stopped by! We are here to provide you excellent high quality photos. We only use the best top of the line equipment and are happy to provide you with the best top of the line service. If we took your picture and gave you a card, or you saw one of our banners at an event there is a pretty good chance we have a great photo of you in the galleries below! The photos are available for purchase as PRINTS or MERCHANDISE, or you may DOWNLOAD them. Please contact Sales@MachShots.com for more information about purchases. 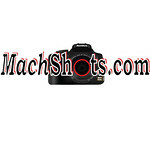 If you have any questions or need any assistance please contact us at help@MachShots.com.